Now that the busy Holiday season is over with, things are moving along full speed at Universal Orlando Resort as they prepare for what promises to be the biggest year for the Central Florida park since 2010. The park is gearing up for the opening of the all new Wizarding World of Harry Potter-Diagon Alley, as well as eight new venues in the CityWalk entertainment complex. 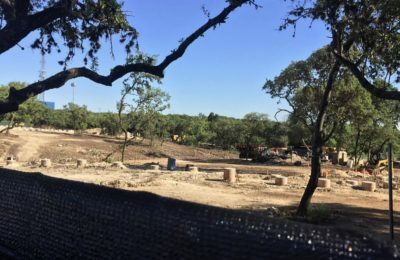 We take a look around the park, and peek at some of the construction progress. 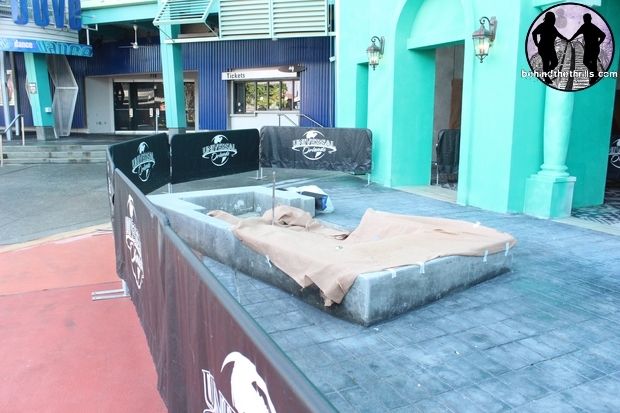 CityWalk is undergoing a huge renovation, with eight new venues opening by the summer. 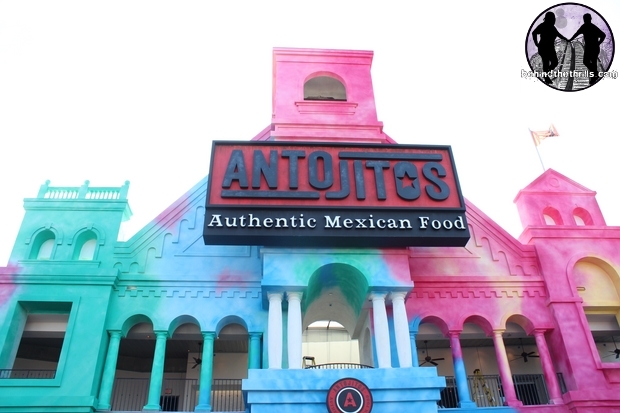 So far, we’ve seen Red Oven Pizza, and any day we will see the opening of Antojito’s Mexican restaurant. The next place on the list is the Universal Studios Store, which will be expanded and updated. 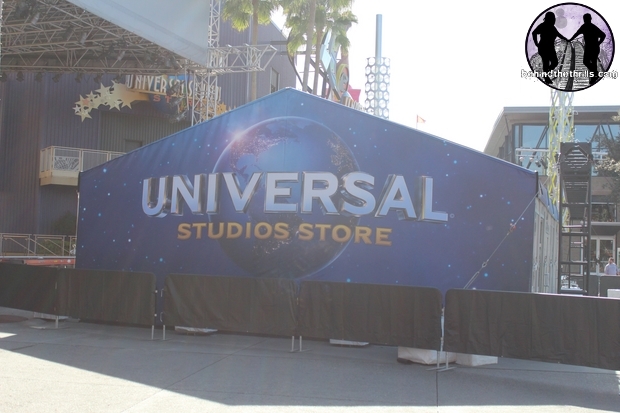 Instead of closing the current store, Universal is setting up a temporary home for the shop. This shop will be a simple tent, right in front of the current store location. We look for this to be done by the very busy Spring Break season in March. 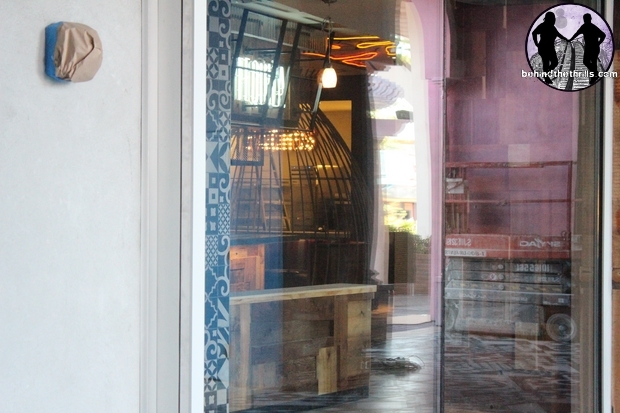 More walls have come down around Antojito’s Mexican Restaurant, which gives us the chance to peek into the windows and get a look at the attention to detail going into the restaurant. The restaurant is an original creation from Universal, and replaces Latin Quarter. The restaurant will also feature a food truck out front, for those who don’t want to take the time for a sit down meal. 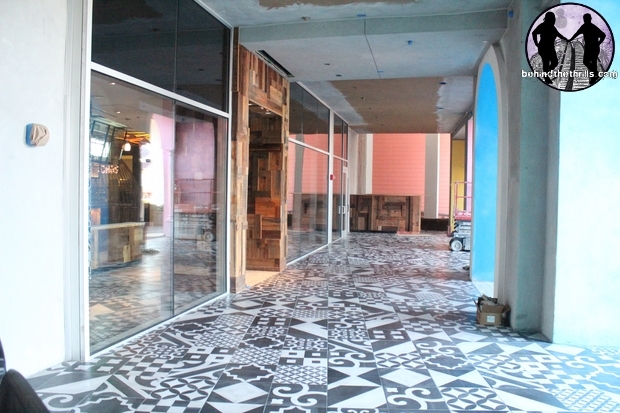 So far we can glimpse lots of tile and iron work, as well as murals inside the restaurant. 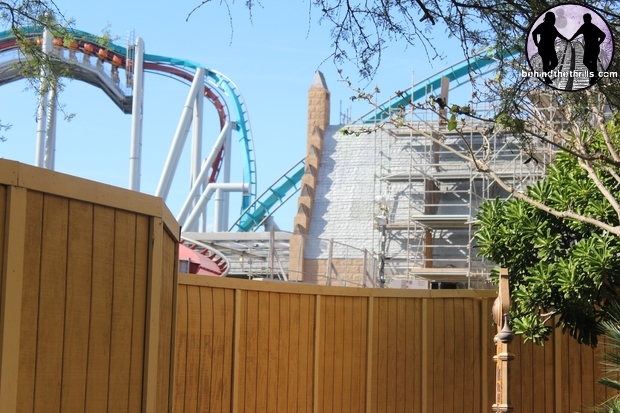 Over at Islands of Adventure, the Hogsmeade Station is starting to look like an actual train station. 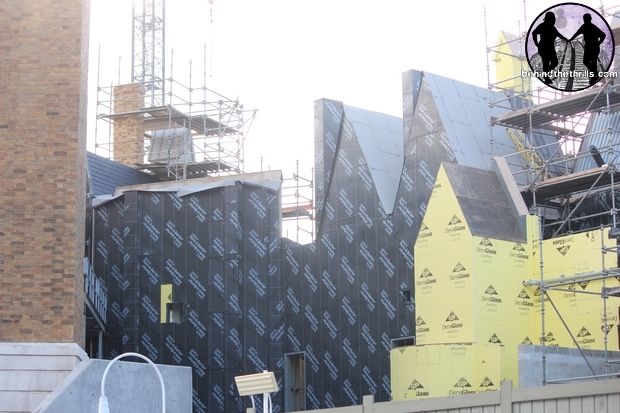 The signature pointed roofs of The Wizarding World are appearing like magic, which means that soon guests will be able to travel just like Harry Potter aboard the Hogwarts Express. 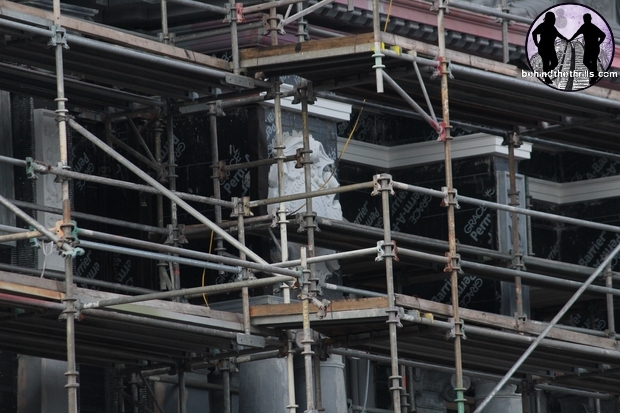 At Universal Studios Florida, details are springing to life more every day on the London Side of Diagon Alley. 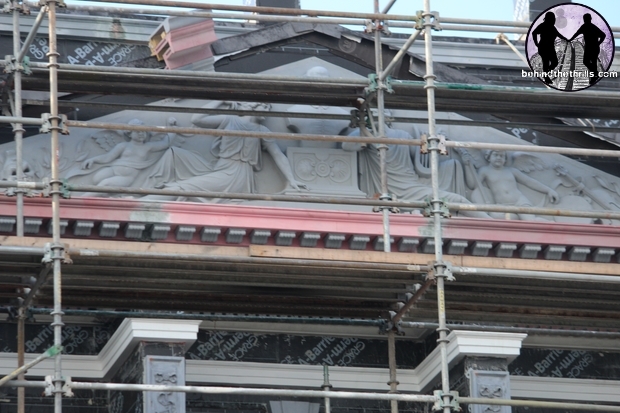 While work continues on many of the statuary and facades of the other buildings, scaffolding has come down completely from what appears to be Grimmauld Place. There looks to be more details to add soon, but with the scaffolding down, it gives a real sense of scale to the entire area. 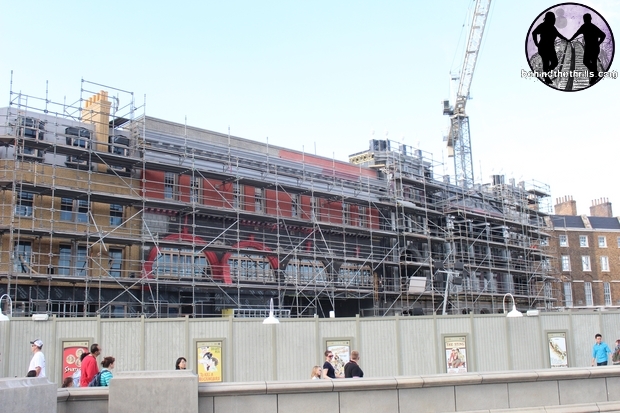 On the area closest to Grimmauld Place (and the Fear Factor Live Stadium) rock work gets ready to go up as more of the signature pointed roofs come into play. These are part of the Wizarding World, and from what we hear, will not be visible from the Muggle World of London until you step in, and go three up and two across (from the garbage can). Get a bit more upclose with all the construction projects in our video walkthrough below! 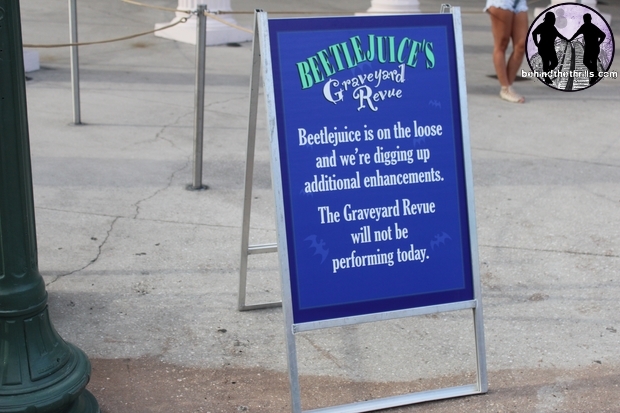 Elsewhere in Universal Studios, The Beetlejuice Graveyard Review has shut down. No fretts, it will return, but with an updated show and newer songs. While the show will be returning, it was a very emotional time for many of the cast and crew, who have performed in their roles since the last revamp of the show. Beetlejuice has been a staple at the park, pretty much since the opening in 1990. The now closed version of the show featured classic Universal Monsters in a more “modern” setting. Thanks to Sean Hill, you can check out the entire final performance in the video below! For those of you who couldn’t check out Universal Orlando during the busy Christmas season, now is actually a very good time to go to the park. From now until the middle of February crowd levels should be much lower, than it has been in the last half of 2013. 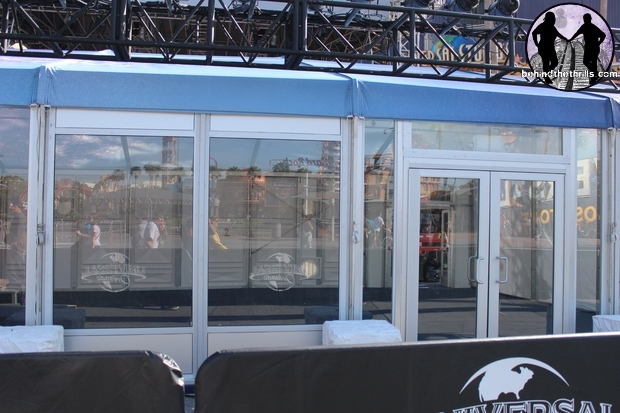 Check out even more pictures from around Universal Orlando in our slideshow. There is still tons to look forward to as 2014 marches on. In just a few weeks, Universal will kick off it’s longest Mardi Gras event to date. 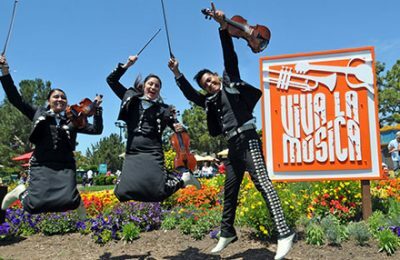 The event will feature a huge parade, tons of authentic Cajun cuisine, and a big concert on select nights. Before that, however, guests can take part in what is unofficially being billed as the first Harry Potter Expo, with A Celebration of Harry Potter. The event will be three days at Universal Studios Florida, and will feature panels with the cast and crew, as well as a huge expo showcasing many of the different things that Harry Potter has brought to life. Click here to read more details about the Celebration of Harry Potter, which kicks off January 24th for three days at Universal Studios Florida. 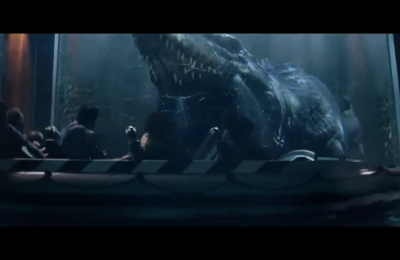 Stay tuned as we take you inside all the latest happenings at Universal Orlando, and other theme parks around the country. Be sure to follow along on Twitter @BehindThrills for the latest updates.